The most photographed Jesus ever has died. He didn't make it to last Christmas. Family members say the man known as West Hollywood Jesus died Dec. 13th after a brief hospitalization in L.A. for pulmonary issues. 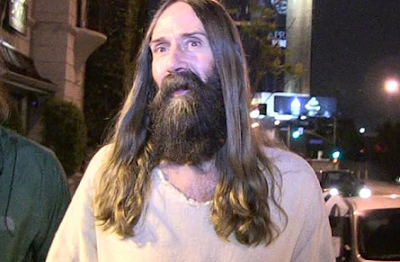 WeHo Jesus, real name Kevin Short, was a mainstay up and down Hollywood Boulevard, and famously posed for pics with countless tourists over the years. If you've been, you know there are multiple Batmans and Supermans, but only one Jesus. And now he's gone. » Nigerian Man who turned himself into A Woman Mocks Jesus!